When it comes to searching for the right domestic gas engineer to work in your home there are so many companies out there that it can be difficult to know if you are picking the right company. You do, after all, need one who will treat you as an individual and not just money in the bank. At JCH we believe that we have put together a team of gas engineers who will be able to work with you on whatever gas issues you might have; whether you have had a breakdown with you existing boiler or need a new one installing. We are a family run company who are based in Clapham, London who bring quality and experience, together with a passion for the work that we do to every job that we undertake. We firmly believe that each and every client, no matter how small or large the job we take on, is important. Our team of engineers are all fully qualified Gas Safe Engineers and Corgi registered engineers, giving you peace of mind over each and every installation or service that we carry out. 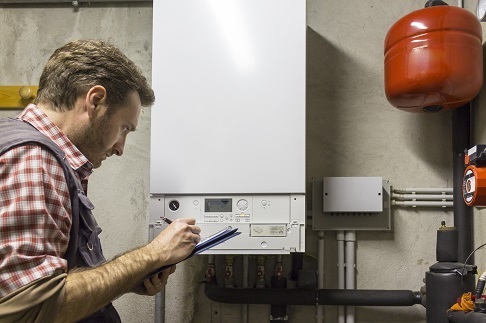 We can help you with all types of issues, from faults with a combi or gas boiler to repairing existing boilers or where necessary replacing your current boiler. Because we want you to be confident in the work that we do each of the gas boiler and combi boilers that we install come with no less than a 5 year guarantee, giving you further peace of mind. We want to make sure that your central heating and hot water systems are running as efficiently as they can which is why each installation that we view is seen as being individual. If we can help you to improve the efficiency of your current system, then we will make recommendations that should help. In addition to our installation and breakdown services we also offer a range of other services. These include weather compensation installations which are offered as standard, solar thermal hot water systems, photovoltaic solar systems and last but by no means least green energy heat pumps. We are also MSC registered installers. Whether you are looking to replace an inefficient existing system, or simply improve your current system, then why not get it touch with us we would love to help you to improve the efficiency of your domestic gas and hot water installations.